This is a hello once again, and also a farewell message from me as the President of MSA. It has been a learning, adapting and occasionally trying twoyear period, juggling work and family schedules but, all-inall, it has been an amazing experience made bearable and enjoyable by cooperative and supportive Executive Committee members, secretariat and counterparts. At the end of it all, after ensuring maintenance work, meeting deadlines and a few improvements here and there, there is still a wish that more could have been done for the Society. As such I dedicate this column to the future hopes for the MSA. With the increasing number of anaesthesiologists in Malaysia (more than 600 now), it is important that we stay together and be united in our voice. Ours has been a quiet and unseen profession, forever overshadowed by the mask (and surgeons). The MSA is making attempts to recruit members and be the voice. The National Anaesthesia Day celebrations also have scattered success at selling ourselves. To be noticeable, we need exposure so it is time that we are seen and heard. Giving interviews, writing for newspapers or website and having on-air time are not easy tasks but we have to find willing anaesthetists with such talents. However, as we promote our profession we will inadvertently divulge our image, particularly to the public. That is another serious matter to be upheld by all anaesthetists. It is not only our image to the public that we should be concerned about but also to other medical and surgical disciplines. Currently, as you know, we are trying to maintain our rights to our own Anaesthetic Fee Schedule. Even after years of having a separate schedule to the surgeons’ fees, there is talk of ‘simplifying matters’ by going back to a percentage (similar to being appendage) of the surgeons’ fees. I would consider that as one image that anaesthetists should worry about! Over the years, the MSA has been a body for members to turn to for support in terms of CPD programmes, conference sponsorship and the occasional professional assistance. 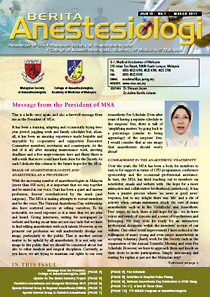 In turn, the MSA has tried reaching out to members via newsletter, emails and website with the hope for a more interactive and collaborative brotherhood (sisterhood). It has been a passive process where ‘no news is good news’ response, but to my delight there was ‘life’ and a stir of activity when certain statements struck the core of many anaesthetists such as in the ‘Goldilocks’ and ‘Anaesthetic Fees’ issues. As such, there is still hope for us – we do have voices and minds of concern and a sense of togetherness and belonging. We may soon be ready for an interactive professional discussion within the members’ section of our website. One other social improvement I have noticed is the willingness of many young and even senior anaesthetists in accepting voluntary (hard) work for the Society such as the organisation of the Annual Scientific Meeting and even Fee Schedule. However, we have to approach them and knock on their doors to invite participation. Simply announcing and waiting for replies is just not the Malaysian way! When the organisers of the 17th Asean Congress of Anaesthesiologists requested our Society for its brief history recently, we realised how little we knew about it. We can recite and research the world’s first anaesthetic, distinguished world anaesthetists and various inventions easily but our own anaesthetic history is sketchy and incomplete, with only one main reference book. 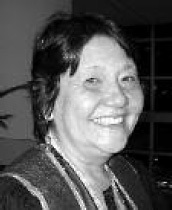 We can recall many prominent anaesthetists but their contributions and their names will disappear without documentation. We do not have a complete list of past presidents of MSA and we will soon forget the progression of our Society such as the dissolution of the Intensive Care Section in 2010. We need volunteers to collect and record data from those still able to provide us with our rich history or even pay professionals to keep our history alive forever (or it will really be history!). The MSA confers the Honorary Membership on our senior distinguished anaesthetists in appreciation of their contribution and at the same time open our young eyes to what have been. One suggestion that is practical is to interview and introduce the respected senior members in our newsletter or website. The only snag is that we are not reporters and we all have our busy schedules we cannot seem to get out of. Again, I wonder if we have to resort to employing professionals. Research is taking centre-stage in the progress of anaesthesia and particularly in the university setting, it is an academic requirement for promotion purposes. We not only have to participate in studies but also be critical in thinking and clever at reviewing articles or papers. The MSA is fortunate to have active members involved in matters such as screening through study grants for the K Inbasegaran Fund, oral or poster presentations and subsidy for overseas conferences. The Scientific and Educational Trust fund permits opportunities for activities like this. The Asean Journal of Anaesthesiologists (www.aja-online.com) is a combined effort of the Society with other Asean Societies (Confederation of Asean Societies of Anaesthesiologists – CASA) and currently we are working towards making it into an indexed journal. Most of us here are still budding in the field of research and can use some help and guidance. The MSA can prioritize this and offer local and foreign assistance regularly to promote and educate members. The MSA has a large pool of members that it can be proud of. Its annual subscription is very reasonable and is value for money! Nevertheless, it has to continue and expand its attractions such as holding scientific meetings and workshops, sponsoring or subsidizing members at every level from specialist anaesthetists and trainees. This is one of our strengths and it is capable of luring almost all anaesthetists and anaesthetic trainees in. There is also prestige attached to our name as we are never short of requests for endorsements of meetings or seminars. Other perks of being a member can also be looked into such as that offered similarly by overseas Societies. The management or Executive Committee members have always had the Society’s interest at heart, even in matters such as investments, and I hope these healthy thoughts will continue to flourish. I remember how senior members used to say they have worked hard to make money for the Society. Looking at the accounts, I am proud of the current younger members who continue to make money as well. Now it is up to the Society to use the money wisely. Since the decision was made to keep the two bodies separate with their own objectives, I believe the relationship between the two have improved tremendously. It is definitely less stressful without one anticipating if it will be absorbed into the other! With the dilemma settled, the MSA and the College of Anaesthesiologists have worked together hand-in-hand in settling several issues of concern to the anaesthetic community, currently the Anaesthetic Fee Schedule. It is actually a relief to have a ‘partner’ in fighting for our rights! In practice, the MSA has a handful of concerns to attend to and is happy that the College takes care of the academic and other matters, all for the benefit of our anaesthetic fraternity. I am confident that the next President and her incoming Executive Committee members will lead the MSA to greater heights. I must thank all the current Executive Committee members and Ms Kong and her team who made my Presidency a breeze (I cannot believe I said that – it is now but it was not then!) and I hope you will all pardon my shortcomings and inadequacies. Do continue to be an integral part of the Society, invite others in and contribute in whatever way you can. The Executive Committee members can steer the way but you can determine them and their success! Let us meet at our upcoming ASM/AGM ‘Borderless Anaesthesia - A New Dawn’ that will be held on 21st - 24th April 2011 at the Shangri-la Hotel, Kuala Lumpur. See you there! As this is my last message as College President (a post which I have held for two years), I would like to take this opportunity to reminisce and ramble a bit. Being College President has given me a number of new opportunities and challenges, which were somewhat different from those that I experienced as MSA President. The President of each College is automatically a member of the Council of the Academy of Medicine (AMM); thus, I had the opportunity to interact with Presidents of all the other Colleges (Surgeons, Physicians, O&G, Paediatrics, Pathologists, Public Health, Radiologists and Dental Specialists) as well as the Master, Bursar, Scribe, Censor and other council members – the Academy of Medicine has retained the Latin terms for its key office bearers, which may sound more grand but perhaps somewhat archaic! The Council of the AMM has several roles, and in the past year, we had a “Strategic Planning” workshop to look at organisational structure, activities and finances of the Academy. This was an interesting exercise resulting in articulation of the “vision and mission” of the AMM (“The Academy of Medicine is dedicated to promoting the highest standard of Healthcare in Malaysia through professional and ethical practice, placing the interests of patients above all else…”) and the formation of several committees to look into matters related to finance, advocacy and training. In the area of training, the AMM Council has been working on formalising training and certification for subspecialty training (since the specialty training and certification is done by the Universities, and the AMM has little role to play in this). Details have to be worked out for each subspecialty area, and the subspecialties to be included would depend on the various specialty Colleges. For anaesthesiology, our College Council has agreed to support the exit exams for Pain Medicine and Intensive Care for this year. The Council of the AMM is also the body responsible for overseeing the implementation of the National Specialist Register (NSR). As College President, I have also been keeping our members informed about developments in this area, and have tried to encourage all anaesthesiologists to register with the NSR. To date, there are only 310 anaesthesiologists registered with the NSR, which represents about 48% of the total number of anaesthesiologists in the country. Approximately 65% of private anaesthesiologists are registered with the NSR – this is much better than the rate of registration of those in the public sector (approx. 35%). The AMM Council meets together with the NSR secretariat once in two to three months and keeps track of the number of registrants with the NSR as well as makes decisions on applications for new specialties or subspecialties to be included in the NSR. Another privilege I had as College President was the opportunity to meet and interact with our sister Academies – mainly, the Academy of Medicine, Singapore (AMS), and the Hong Kong Academy of Medicine (HKAM). The AMS and AMM have been having combined congresses for many years now, and the Councils of the two Academies normally have a joint meeting during the annual congress, to share views and experiences on important issues of mutual interest, for example continuing professional education and training of specialists. In more recent years, members of the HKAM Council have also joined in the meeting, and last year, for the first time, a tripartite congress was held in Hong Kong. The tripartite congress will continue to be held once every three years, with the usual Malaysia-Singapore (or Singapore-Malaysia) Congress of Medicine continuing to be held in the ensuing years. While the scientific content of these conferences may be too general to be of great interest to any particular specialty, these congresses are a good opportunity for networking with our counterparts from our neighbouring countries. MY BIGGEST CHALLENGE – WHAT IS THE ROLE OF THE COLLEGE??? The main challenge I faced when I came in as President of the College was in defining the role of the College, and our relationship with the MSA. Some of you will remember that a few years ago, we had discussions about whether the College and the Society (MSA) should merge into one entity, as most of our activities were carried out jointly and there seemed to be no clear difference between the two. However, after much deliberation, we decided that we should remain as separate organisations, but continue to work together in a number of areas; in particular, we would continue to hold the annual scientific meeting (ASM) jointly, and most of our CPD activities would be carried out jointly. So what would be the unique role of the College? In most other countries, the professional Colleges would be the bodies awarding postgraduate certification to specialists but in Malaysia, the universities have played this role since we started our local postgraduate training programmes in the 1980s. Initially I thought that the College should conduct the refresher courses both for primary and final Masters exams but I am afraid that we have not made much headway in this, for various reasons. I must acknowledge here that the refresher courses for primary candidates carried out by a small group of specialists in the Department of Anaesthesiology, Hospital Kuala Lumpur, has been running for a number of years now, and they are doing a great job – so although I did offer the help of the College, I must admit that the HKL guys are doing very well on their own, both in running the ongoing tutorial sessions as well as the trial vivas and intensive/refresher courses in HKL. There are also the intensive courses organized by the universities, in turn, so there is not much more for us to do – and anyway, we do not really have the human resource and expertise to run these activities. Then I thought that we could conduct trial vivas for the final exams on a regular basis for candidates from the Klang Valley, and at the same time, train new examiners (who are not from the Universities) – but again, this has not really materialized. However, the College has continued to have two representatives on the Conjoint Board, and we are committed to support a “local external” examiner for the Final Masters exam when required. In the past one year or so, as mentioned earlier, the AMM has been discussing playing a more active role in subspecialty training and certification and I hope that this will be pursued and developed further in the near future. The College has always been the body that initiates and coordinates the writing of practice guidelines. We have recently updated the Guidelines on Fasting, as well as the Monitoring Guidelines. The two new guidelines we are currently working on include “Safety Standards in Anaesthesia” – which is essentially the document on monitoring standards but we will add in a section on “Infection control in the operating theater” – and “Recommendations for sedation by non-anaesthesiologists” which has input from a lot of other specialty representatives, including radiologists, surgeons from different subspecialties, gastroenterologists, hematologists, dental specialists, emergency medicine physicians, paediatricians and gynaecologists. The College has several SIGs (Cardiac, Airway, Pain, Regional Anaesthesia, Day Care, Simulation and Obstetrics) and I attempted to get members to “join” the SIG that they are interested in, but without much success. Nevertheless, all SIGs have been holding at least one activity a year, either together with the ASM or separately, and we have formed a new SIG on “Wellbeing of Anaesthesiologists” which will be holding our inaugural activity during this year’s ASM. The formation of this new SIG was in response to the call from members that we should also be looking at “soft skills” and non-medical / technical issues including looking after ourselves and our own health. I hope that this SIG will be very active in the future, as I personally believe that there are many issues related to our “well-being” that need to be addressed. The College continued to run many CPD activities jointly with the MSA. Apart from the ASM, these included evening talks and workshops organized by biomedical industry, as well as workshops organized by our SIGs. The College is also represented on the AMM’s committee which has been tasked to look into devising a system of recording the CPD points for specialists – at the moment, the plan is to use the same system that the MOH is using, but the requirement for points in different categories may vary. Although in the past the issue of fees and contracts with hospitals and problems with insurance companies, etc (the “union-type” issues) were seen as within the scope of the Society, not the College, this year the College joined the MSA in participating in the discussions with the Ministry of Health for revision of the Fee Schedule (Schedule 13) under the Private Healthcare Facilities and Services Act (1998) and Regulations (2006). This was partly due to the push for increased participation of the Academy of Medicine in this matter, and the College of Anaesthesiologists was fortunate to be given the privilege to nominate one of the four AMM representatives on the task force formed by the MOH to look into the amendments to the Fee Schedule. As you would have read elsewhere, we anaesthesiologists are hoping to implement a “relative value system” (RVS) for our fees which is completely “divorced” from the surgeons’ fees. The AMM has a provision that anyone who has been a member of the AMM for 10 years or more is eligible to be nominated to become a Fellow of the AMM. The College of Anaesthesiologists does not have a large number of fellows, and when we looked through the list of existing members, we found that there are actually quite a number who meet the above criteria, so we have sent out a whole lot of invitations and I hope to get some responses soon. To those who have not even become members of the College of Anaesthesiologists / Academy of Medicine, this is my last chance to ask you to do so – the amendments to the Medical Act will be passed soon, and you will be required to register with the National Specialist Register. As an AMM and College member, you will have a discounted rate (RM1000 instead of RM1500) and you also have the opportunity to influence decisions regarding the NSR. You can go to the Academy of Medicine website (www.acadmed.org.my) to download the form. Before I end, I would like to apologise for any shortcomings in the performance of my duties as President, and if I have offended anyone in any way, it certainly was not intended, and I ask that you “forgive and forget”. I would also like to say a big “THANK YOU” to all the Council members over the past two years, for your cooperation and hard work, as well as fellowship and support. Thanks also to Miss Kong and her team for their untiring support, always having to cope with “last minute” work but never grumbling although I know it must be very stressful. And, of course – thanks to all of you, Anaesthesiologists - members and non-members of the College - for your contribution to and support of College activities and matters – it is my hope that the College will continue to grow in its role of supporting anaesthesiologists maintaining the standards and prestige of the specialty of Anaesthesiology in Malaysia. The idea of providing oximeters to those in need first came about at the World Congress in Paris in 2004 when members of the Safety and Quality Committee were discussing ideas around improving patient safety. With the assistance of the Association of Anaesthetists of Great Britain and Ireland (AAGBI) and GE Healthcare, who provided the oximeters, they developed projects in four countries – India, Philippines, Uganda and Vietnam. They found that there was a huge need for oximeters, and that significant education was required in how to use them and how to respond to the information provided by them. (Anaesthesia 2009; 64:1051-1060). At the same time, the WHO was developing its Safe Surgery Saves Lives initiative, led by Dr Atul Gawande of the Harvard School of Public Health and a surgeon at the Brigham and Women’s Hospital in Boston. This resulted in the provision of a surgical checklist. Studies showed that using the checklist, no matter what resources were available, resulted in a reduction in surgical morbidity and mortality. (N Engl J Med, Volume 360(5): 491-499, 29th January 2009). The use of a pulse oximeter was included as one of the points on the checklist because of the importance of this form of monitoring to patient safety, but also because it was recognized that a significant portion of the anesthesia world lacked pulse oximeters. In October 2008, WHO gathered together interested parties such as the WFSA, Harvard School of Public Health, procurement experts, industry and others. This group embarked on a project to provide low cost pulse oximeters to anesthesiologists in need of this technology to support the care of their patients. Teams were formed to determine the specifications of a suitable oximeter, to set up a procurement process, to secure financing and to develop educational materials. All have done their work admirably. The chosen oximeter is ISO and CE certified, with all of the qualities and safeguards required. It comes with extra features, such as long-lasting batteries, which make it suitable for use in austere environments. The successful manufacturer is able to provide this state-of-the art oximeter at the incredibly low cost of $250 US. This should enable governments and hospitals in low and middle-income countries to purchase oximeters for a fraction of their usual cost. We also hope groups, organizations and even individuals, will donate them to those in need. The project has gathered new partners such as AAGBI and Smile Train. As well, many people have donated their expertise in areas required by such a huge undertaking, for example management, branding, law and public relations. These are people outside of the anesthesia, and even the medical, world. They are contributing because they believe in the value of the project to improve patient safety during anesthesia and surgery. Research done as the project developed shows that about 77,000 operating rooms in the world lack pulse oximetry. This equates with about 35 million patients per year having anesthetics without an oximeter (Lancet 376 (9746), 1055- 1061 September 2010). 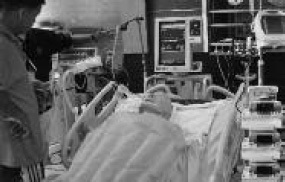 In addition, there is a lack of oximeters in Recovery Rooms, Obstetric Units, Neonatal Units or Intensive Care Units. The potential for improving patient safety with these devices, supported by appropriate education, is enormous. The education team has created materials for use in selflearning or for teaching. Each pulse oximeter that is distributed will have a CDROM with it which will include materials on the Surgical Safety Checklist and the oximeter. These include a manual describing oxygen transport, use of an oximeter, an algorithm on what to do when the oxygen saturation is falling, two power-point presentations, scenarios for use in teaching, quizzes and a prize-winning video made especially for this project by Dr Rafael Ortega, an anesthesiologist at Boston University. All of the material has been produced by us in six languages – English, French, Spanish, Chinese, Russian and Arabic. It will also be available free of charge from the WHO website. The content and quality of this material makes it relevant to any anesthesia provider – not just those in economically constrained settings. We are calling on all of our member societies to assist us with the teaching programmes. We are pleased to announce that this project will shortly be set up as a not-for-profit organization called , with a board led by Dr Atul Gawande and including representation from WFSA. This will allow us to develop a sustainable structure, generate funds for the donated distribution of oximeters and target on-site education programmes. Importantly, it will allow the WFSA to continue to promote our anaesthesia mission. We will soon have a website dedicated to this project where, for just $250 including delivery costs, eligible facilities can purchase oximeters for themselves, and donors can buy on their behalf, specifying the recipient if they wish. In time we will maintain a database of global need, so you can see exactly how we are working to target the oximetry gap, and where donations are needed next. Lifebox aims to distribute 5000 oximeters during 2011, and 12,000 in the first two years, through a combination of sales and donations. If we are to target the 70,000 plus operating rooms worldwide without oximeters, we need your help. If you would like to donate funds for the supply of oximeters where they are most needed; if you know of sites and anaesthesia providers who are working without pulse oximeters; if you are able to help us with coordinating distribution; if you would like more information about the project please contact lifebox@anaesthesiologists.org. Please also watch the WFSA website, Lifebox www.anaesthesiologists.org, for updates of the work and our website www.lifebox.org, which will be accessible early in 2011. Entering it’s 7th year, the Special Interest Group in Paediatric Anaesthesia (SIG) was taken to East Malaysia, Kuching, to conduct the annual Paediatric Anaesthesia and Analgesia Workshop. It was held on the 27th to 28th June 2010 at the Dewan Pesona and Operating Theatre (Main Block), Hospital Umum Sarawak organized by the Department of Anaesthesiology & Intensive Care, Hospital Umum Sarawak, SIG (Paediatric Anaesthesia) College of Anaesthesiologists, Academy of Medicine and Aesculap Academy Malaysia. This year’s workshop was attended by 18 specialists and medical officers mainly from Hospital Umum Sarawak, Hospital Sibu, Hospital Wanita & Kanak–kanak Likas, Hospital Queen Elizabeth, Sabah and Hospital Selayang. The workshop kicked off with a welcome address by the Hospital Director, Dr Abdul Rahim bin Abdullah who expressed his pleasure at hosting this event. A total of seven surgical cases were arranged for the hands-on session on the 2nd day of the workshop. The type of cases ranged from circumcision to hernias. The blocks demonstrated were ilio-inguinal nerve blocks, dorsal nerve blocks and caudal epidurals. Two Orthopaedic cases were done under ultrasound guided supraclavicular nerve blocks. The facilitators who were from SIG, Dr Sushila Sivasubramaniam and Prof Lucy Chan, shared with the participants their knowledge, expertise, experience and gave tips on all the procedures. The workshop was well received by the delegates. Overall, the participants were glad that they were privileged to attend this workshop as it has provided them with a lot of insight into this subspecialty. Three official meetings were held. The main agenda of the meetings were to coordinate and regulate regional anaesthesia practice and teaching in Malaysia. SIGRA has decided to standardize regional anaesthesia workshops throughout Malaysia. 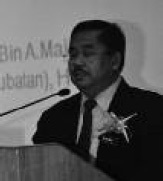 A task force headed by Dr Azrin Mohd Azidin (HKL) would look into the subject of credentialing and priviledging of ultrasound guided regional anaesthesia techniques particularly for the Ministry of Health. 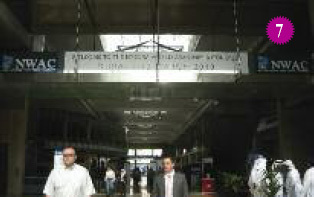 SIGRA was involved in various regional anaesthesia workshops in 2010. Senior members of SIGRA were involved in demonstrating the skills needed in nerve stimulator and ultrasound guided regional anaesthesia techniques. SIGRA members were invited as faculty and associate faculty to various international conferences and workshops organized by various anaesthesia societies. This is an important achievement for SIGRA in our aim to be recognized internationally. The SIG and the Department of Anaesthesiology and Intensive Care, PPUKM held an Update in Obstetric Anaesthesia and Analgesia on 4th December 2010. It was held at Kompleks Pendidikan Perubatan, Canselor Tuanku Ja’afar, PPUKM. Professor C Y Lee successfully organised the meeting. It was attended by over 100 participants from all over the country including Kangar and East Malaysia. There were ten lectures delivered which were divided into three sessions; Anaesthesia for LSCS, Labour analgesia and The Problem Parturient. These were followed by active Q&A after every session with the audience. 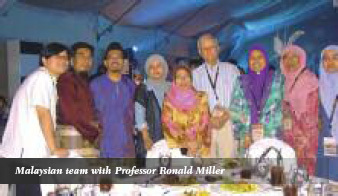 Members involved were Professor C Y Lee, Prof Y K Chan, Dr Thohiroh Abdul Razak, Dr Norliza Mohd Nor, Dr Nadia Md Nor and Dr Mohd Rohisham B Zainal Abidin. 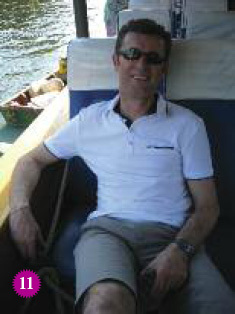 For 2011, the SIG will be organising an evening lecture by Dr Steve Yentis, an Obstetric Anaesthetist from the UK, which will be held at the Medical Academies Building on 11th of May 2011. The SIG is also planning to have a oneday update in obstetric anaesthesia and analgesia in Kota Bharu. The date for the event is to be confirmed. 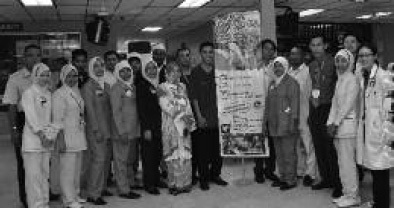 The Fee Schedule Committee of the Malaysian Society of Anaesthesiologists (MSA), comprising of Dr K Mohandas, Dr Jamsari Sukro and Dr R Raveenthiran were present at a meeting called by the Director General of Health at Putra Jaya in July 2010. The meeting discussed a revision in the fee structure for all disciplines which was to be achieved through discussion by forming individual working groups and a task force comprising representatives from the respective disciplines. In our case, the working group was also the task force. The task force met three times between August to October 2010 to discuss the methodology and guidelines for the new fee schedule. In October 2010 there was a directive from the Cabinet that a new fee schedule was to be in place by the end of the year. The task force proposed a fee increase of 30% across the board on the existing fee schedule. Fees were also introduced for new procedures by looking and comparing with the existing procedures and inter discipline. The surgeons were however unable to reach a consensus on their fee structure till the end of December. 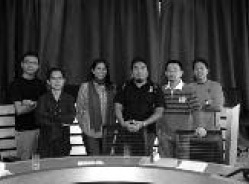 On 6th January 2011, the Minister of Health had a meeting with selected invited representatives from various disciplines to discuss and finalise the fee schedule. At this meeting, the Minister directed that the structure of the new fee schedule was to be based on the methodology and format of the Guideline on Fees 2005 of the College of Surgeons, Academy of Medicine of Malaysia. It was also declared at the said meeting that the surgeon could charge multiple codes for various surgeries performed under one sitting but, the anaesthestist could only charge one code. The MSA Fee Committee objected strongly to this and explained that the risk of anaesthesia increases with time and the multiple surgeries performed. It was then suggested that we come up with a system with only one code which however should take into account the time spent and the increased risk(s). We were also informed that the task force could only have four representatives from the Academy of Medicine. We therefore insisted that anaesthesia be given one of the four seats. Having looked at the fees schedules in different countries, the working group decided on using a relative value guide which takes into account the physical status of the patient, the time spent under ananesthesia and various modifying factors. This module was presented to some members of the MSA and College of Anaesthesiologists on 17th January 2011. The working group received the mandate to present the proposed scheme to the task force. This proposed scheme was presented to the task force at the end of January and after vigorous discussion and tedious negotiations, this was accepted albeit with slight modifications. However at the next task force meeting at the end of February, we were informed to our dismay that the Director-General of Health had rejected our proposal for this interim period. It was decided that anaesthetists are allowed to multi code like the surgeons and the fees to be increases by 30% across the board for existing codes. We are now in the process of finalizing our fees. 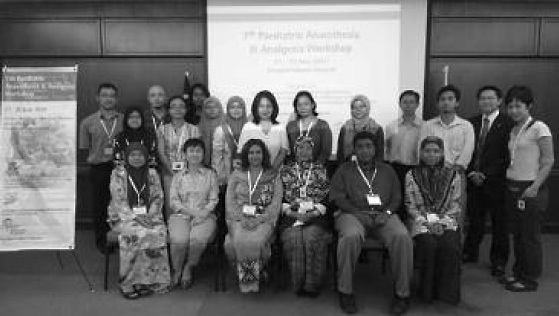 In October 2010, the Penang Hospital organized a Total Intravenous Anaesthesia (TIVA) workshop. The invited speaker was Prof Dr Lim Thiam Aun from UPM. In the workshop, demonstration was made on how to successfully run TIVA using propofol and remifentanil infusion, as well as the advantages of the TIVA pumps. Of interest were the demonstration of PK/PD properties in the Target Control Infusion (TCI) pumps and the computed plasma levels of the drug with clinical anaesthesia. With the current interest in open system TCI pumps, and the availability of generic formulation of propofol, TIVA appears to be gaining more popularity especially for ambulatory and neuroanaesthesia. Many private anaesthetists attended the workshop to learn about integrating this technique into their practice, as well as the possible advantages of it. October also marks the Anaesthesia Day in Penang on 16th. 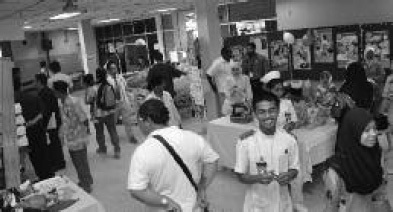 After an absence of several years, Penang Hospital had a small scale Anaesthesia Day celebration with a mini exhibition to the general public on the roles of the current day anaesthetist at the lobby of Penang Hospital. A general health check station was also manned by doctors from the department. Posters were put up showing the anaesthetist’s working environment in the operating theatre, as intensivists, as pain physicians and involvement in training for resuscitation in basic and advanced life support. A video presentation was done to demonstrate the hidden role of the anaesthetists in the operating theatre, in particular, managing the patient’s airway, ventilation and circulatory physiology during operations. World Anaesthesia Day is celebrated every year on the 16th of October to commemorate the first successful demonstration of ether anaesthesia by Dr William Thomas Green Morton on 16th October 1846. 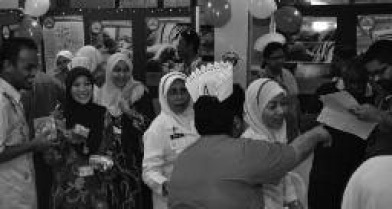 The National Anaesthesia Day celebration was held in Hospital Tengku Ampuan Rahimah (HTAR) on 14th October 2010. The day started with the monthly morning assembly at the Auditorium Permata, Ambulatory Care Centre of HTAR at 7.45 am with the arrival and registration of hospital staff from various disciplines. The Head of Department of Anaesthesiology and Intensive Care of HTAR, Dr Hj Mohd Rohisham bin Zainal Abidin, gave the welcome speech. Dr Mohamad bin A Majid, the Deputy Director of HTAR, then officiated the celebration of Anaesthesia Day after giving his speech. Subsequently a slide show and presentation regarding the history of Anaesthesia was given by Dr David Chiang Chun Fai, an anaesthetic medical officer in HTAR. The department took the opportunity to honour Dr Sachidaran Kumaran with a small token of appreciation, he is the longest serving doctor in the department of Anaesthesia of HTAR. A poster exhibition regarding the different types of anaesthesia was set up at the lobby of the main building of HTAR to give an overview about the procedures, to educate the public about the role of the anaesthetist as well as the risk and benefits of various techniques. There were also booths by various pharmaceutical and medical equipment companies displaying the different anaesthetic equipment, ventilators and mannequins, depicting the scenario in ICU and the operation theatre. On top of that, there was a quiz based on the poster presentations and a lucky draw session. The response to the quiz was overwhelming, with more than 600 participants taking part. As a whole, it was a tremendous success in line with the theme for World Anaesthesia Day 2010, “Unveiling the Mask”. 2010 was an opportune year for me. I was fortunate enough to have been invited to facilitate at three international regional anaesthesia conferences. The month of March saw me travel to the desert land of Dubai for the NYSORA World Anaesthesia Congress. My prior travels to Dubai had never been more than a stopover at its’ international airport. 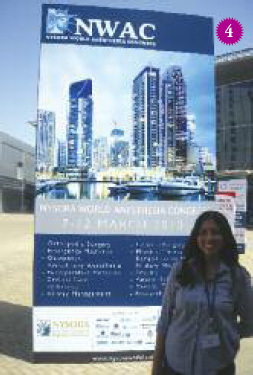 My excitement was thus two-fold as I had never visited Dubai before and also because this was the first ever NYSORA World Anaesthesia Congress. This 5-day congress held from March 7-12 at the Dubai International Convention & Exhibition Centre included not only topics on anaesthesia, specifically regional anaesthesia, but also critical care, emergency and peri-operative medicine. It was an awesome congress with 76 specialised sessions in 2 parallel tracks, 36 refresher courses, 56 workshops and 28 problem-based learning discussions (PBLD) with a participation exceeding 1200 delegates. Through the Academic Preceptorship Program, I had the privilege of being part of the associate faculty of the congress. It was a fantastic opportunity for me as I worked with the leaders in the field of paediatric regional anaesthesia in running the paediatric ultrasound-guided regional anaesthesia workshops. Names such as Manoj Karmakar, Peter Marhofer, Santanam Suresh, Giorgio Ivani and Belen de Jose Maria Galve are well-known in the circle of paediatric regional anaesthetists for their expertise and research in this field. I was also assigned to head a PBLD entitled “Elderly Patients with Hip Fracture: Optimal Anaesthetic to Preserve Cognitive Function.” This was a new experience for me and it was interesting to hear viewpoints from different corners of the world and to learn that how different anaesthesiologists deal with a common problem. It was, indeed, a luncheon full of purpose. The icing on the cake was the Desert of Arabia Evening where faculty and delegates alike were entertained to a barbeque dinner at a campsite in the sand dunes. 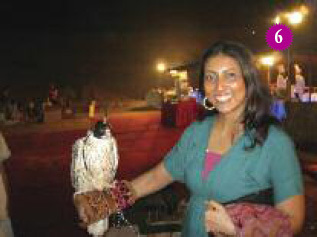 There was much merriment with a traditional Arabic band, belly dancers, camel rides, henna painting and sand surfing. It was truly a memorable night. Dubai as a city is bursting with energy; a bustling metropolis amidst traditional souqs. 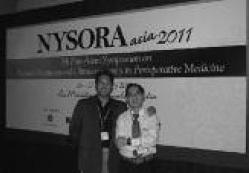 The 4th Pan-Asian NYSORA Symposium was held from May 7-9 at the Shangri-la Hotel, Bangkok. At this time there was public unrest in Bangkok with the demonstrations by the “Reds”. Many were unsure if the symposium would materialise but it did and with success. Granted, the number of participants was less than anticipated but the smaller groups made for conducive learning especially during the workshops. 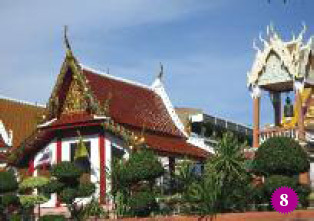 Bangkok is known as Krung Threp to the Thais and translates to the City of Angels. It is a vibrant city and a visitalways leaves you wanting to returnsoon. The Thais are known for their humility and friendliness. Bangkok is afood lover’s haven as there are numerous vendors at every street corner, alley and pavement serving up authentic and tasty Thai cuisine. The markets such as Chatuchak and Suan Lum Night Markets sell everything; literally! One could easily get lost in the markets! For exotic culture, a visit to the many temples or wats leaves one in awe especially after seeing the largest reclining Buddha figure in Wat Pho. The faculty also had the opportunity to patron Vertigo, a restaurant with alfresco dining situated sixty-one stories atop the Banyan Tree Hotel. The night view of Bangkok city was quite simply breathtaking. I will definitely be returning to Bangkok! How many of us can say that we’ve been to Iran? So when I was offered to represent the Malaysian Society of Anaesthesiologists as a facilitator at the 1st International Congress of Regional Anaesthesia and Pain Interventions, I jumped at the opportunity. This maiden meeting held from Sept 15-17, 2010 at the Olympic Hotel in Tehran was wellattended with Iranian anaesthesiologists who were very keen to learn about regional anaesthesia in general and specifically, ultrasoundguided regional anaesthesia. The delegates were brimming with questions and showed great enthusiasm. I had the opportunity to run the upper and lower extremities block workshop with Professor Dr Mohamed Moneim from the University of Sharjah. This man’s knowledge of anatomy and teaching skills are phenomenal and left me truly inspired. The Iranians as a people are unlike what is usually potrayed in the the media. They are a kind and friendly people who are curious about outsiders and quietly proud. 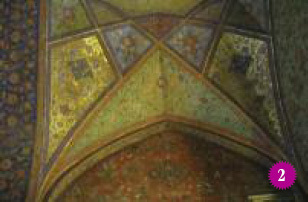 I was shown the utmost hospitality and never regretted my decision to venture to Iran. There were limitations due to the imposed sanctions such as the inability to use credit cards; all transactions were in Iranian Rial. These shortcomings were overcome by the many other positive features of my visit like the superb food! 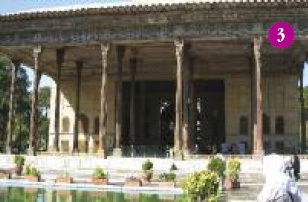 Iran is home to one of the world’s oldest civilisations making it rich in culture and history. During my short trip to Iran, I sneaked a trip to Isfahan. I had heard much about the beauty of this city and looked forward to the visit. With the help of my trusty tour guide, Hassan, I visited Chel Sotun Palace with its gilded mirrors. 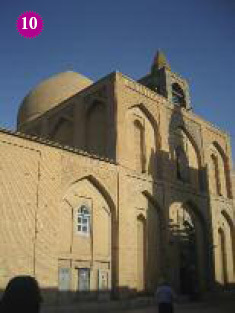 Naghshe Jahan Square, an historical site and a world heritage site, surrounded by the following buildings: the Shah Mosque on the south side of the square, Ali Qapu Palace on the west side, Sheikh Lotf Allah Mosque on the eastern side and the northern side leads one to the Grand Bazaar. The architecture was quite simple awe-inspiring and breathtaking. Finally, I couldn’t leave Iran without my very own Persian rug. 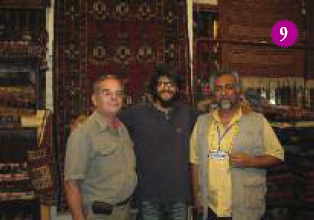 I was taken to a carpet store where I was regaled with the history of carpetmaking by a young Iranian named Abed. Little did I know that there was so much history behind making those lovely rugs we walk on everyday. I felt lucky to be able to visit one of the few Armenian Vanks (Churches) which was decorated with well-preserved and lovely artwork. My day in Isfahan ended with a lovely evening stroll across Isfahan Bridge. The view at dusk left me happily contented that I came to Iran. I hope that 2011 will be an equally opportune year for me with many more visits to foreign lands and the chance to meet with people who share my love of regional anaesthesia. 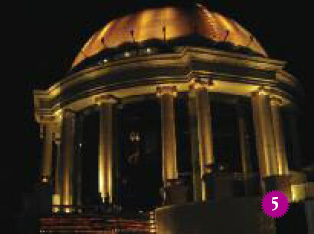 The 17th ASEAN Congress of Anesthesiologists was held in Manila, Philippines from 23 – 26 February 2011. This biennial scientific meeting was themed “Harmony Amidst Diversity” which reflected the vision of Confederation of ASEAN Societies of Anaesthesiologists (CASA) to develop closer communication and cooperation with other societies across the ASEAN region through exchange of ideas on topics of mutual interests. The four-day event had some of the biggest gurus of anaesthesia giving their lectures and talks. These names included Professor Ronald Miller from USA, Professor Davy Cheng, Professor Peter Slinger and Dr Frances Chung from Canada, and Professor Stephan Schug from Australia. Our local invited faculty included Dr Mary Cardosa, Dr Chan Yoo-Kuen, Dr Lim Wee Leong and Dr Shahridan Mohd Fathil. A total of 45 representatives from Malaysia comprising anaesthetists and nurses from both the public and private sectors attended this congress. Our Malaysian team also presented five research posters and two free oral paper presentations, two of the posters eventually won best research poster in the general anaesthesia and obstetric anaesthesia sections respectively. 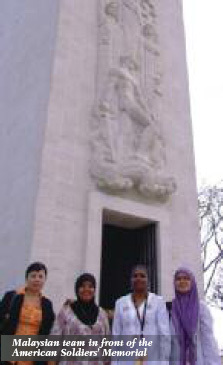 Apart from the lectures and symposia in the congress, the host also arranged for free Manila city tours that brought us to various historical places of interests such as Fort of Intramuros and The Manila American Cemetery & Memorial. Most of us spent the day going through The Mall of Asia which was located just a stone throw away from the congress venue. The Mall of Asia is the fourth largest shopping mall in the world with 4.2 million square feet of shopping area. 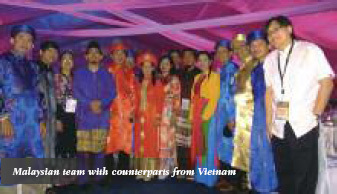 The highlight of the congress was The ASEAN Night held in the Harbor Tent of Sofitel Philippine Plaza on the third night. There were performances from each country and our Malaysian representatives were on stage showcasing our multicultural costumes. The night continued with live music and dances with a number of our Malaysian senior anaesthetists getting a good cardio-workup. In all, the 17th ASEAN Congress of Anaesthesiologists in Manila was indeed an unforgettable experience for all of us. We will be looking forward to the 18th ACA in Singapore in year 2013.